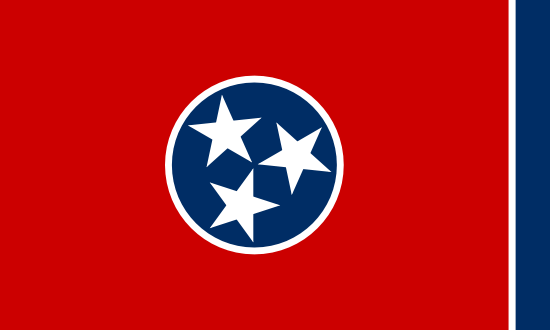 Like most states, Tennessee law prohibits sports betting. Luckily, police officers in the Volunteer State have more important crimes to worry about, so the odds of getting into trouble are slim. In this article, we’ll look at some of the illegal gambling options within the state, although I suggest having a long talk with your attorney before risking any money. When it comes to the authorities, you can never be too careful. Online betting is a grey area in the state, but gamblers should be able to take part without worrying about any sort of consequences. The hardest part is finding an Internet book that accepts American customers, as many pulled out after the passage of the UIGEA. Residents of Tennessee are fortunate, as the state has a diverse collection of pro and semi-pro teams to wager on. While betting lines for professional franchises are easy to locate, you may have to get a little creative if you’re looking to wager on your favorite AA baseball team. In addition to these nationally recognized franchises, there are smaller organizations that provide entertainment and betting opportunities on a more regional level. NASCAR fans can also get their fix, as Tennessee is home to Bristol Motor Speedway. It’s a staple of the Sprint Cup circuit, as well as being one of the loudest tracks in the United States. • Belmont University – The Bruins men’s basketball team has qualified for the NCAA tourney on seven occasions, although they’ve yet to advance past the round of 64. • University of Memphis – The Tigers have enjoyed great success in men’s basketball, and they’ve been to the Final Four or the NCAA championship game on multiple occasions. • Middle Tennessee State University – The Blue Raider baseball team has won 16 conference titles, while the football program has played in three bowl games. National titles have been won in golf and men’s doubles tennis. • University of Tennessee – The football program of the Volunteers has been around since the 19th century, and they’ve won 25 bowl games and captured six national titles. • Vanderbilt University – Tennis and basketball are traditional strengths, although the baseball team won the NCAA College World Series in 2014. The state of Tennessee has always been passionate about sports, and basketball is right at the top of the list. Each February, residents from Memphis to Knoxville do their homework in order to fill out the best NCAA basketball tournament bracket possible. And once March Madness is fully underway, you’d be hard-pressed to overlook the myriad of office pools or friendly side wagers between friends, co-workers, and even family members. While throwing money into an office pool and then receiving a payout based on the number of correct predictions is technically illegal, it’s one of those infractions that everyone seems to overlook. The same applies to wagers on the games, whether they’re made with a buddy or a local bookie. As long as you’re discrete about it and don’t wager obscene amounts of money, you should have no trouble betting on March Madness. • Wager with a Buddy – If you’re passionate about betting on sports, there’s strong chance that you have friends who also do the same. This is the simplest alternative available, as you can sit down with your buddy and devise whatever wagers you desire. Some friends like to bet straight up, while others set odds and point spreads just like the professionals. Whatever the case, just make sure that everyone involved is able to cover a losing bet. Otherwise, you might see your relationship crumble apart in a most unpleasant manner. • Travel to Delaware – At the time of this writing, there are four states where sports betting is legal: Nevada, Montana, Oregon, and Delaware. The latter is the closest to Nashville, so you always have the option of making the long trip to the Blue Hen State. Unfortunately, it’s a 765-mile drive from Nashville to Dover, which should take about 11 hours and 54 minutes to complete. Flying is also an option if you plan to make a weekend out of it, as the one-way travel time is about 1 ½ hours. • Find a Local Bookie – You’d be amazed at how many people out there run illegal bookmaking operations. Some are honest, some are crooks, but all of them are operating outside the law. If you can’t wager online, though, this may be the strongest option available to you. If you have friends that gamble, the best idea is to ask around to see if anyone can make a referral. Once you and the bookie feel comfortable with one another, you should be able to place wagers on sports until your heart’s content. Like most states where sports gambling is illegal, Tennessee offers few opportunities for those wanting to stay in compliance with the law. If you’re willing to bend or break these rules, however, you’ll find a few more possibilities available to you. From wagering with a friend to tracking down a reliable online sportsbook, there’s always a way to indulge your passion for gambling.